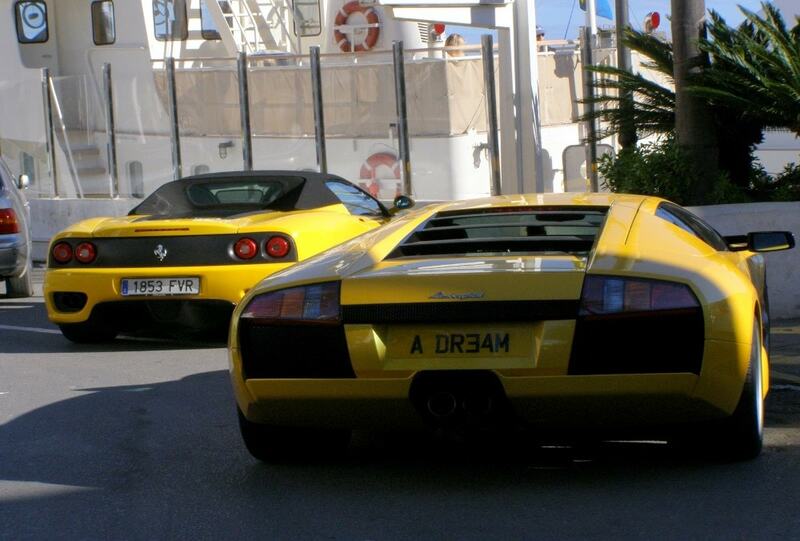 The Golden Mile is world famous for its luxurious and exclusive character. 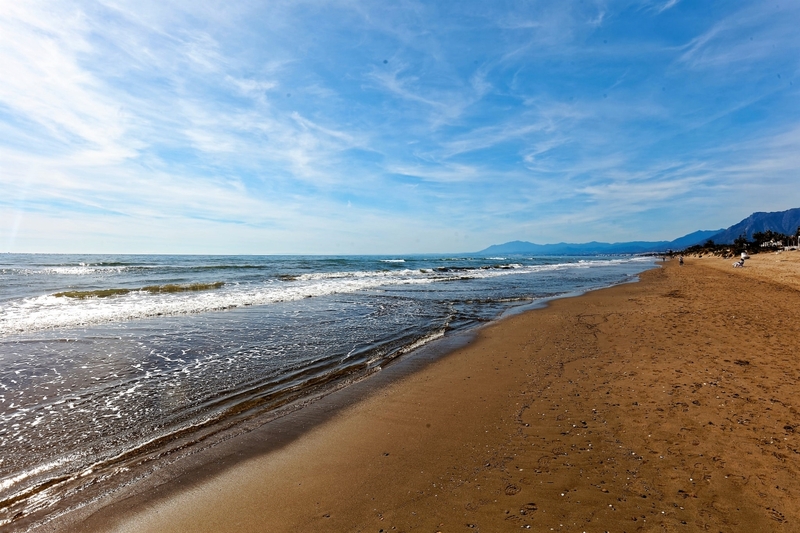 It lies between Puerto Banus and the centre of Marbella, a beautiful stretch of coastline which features some of the most majestic properties on the Costa del Sol. The mile starts at the western border of Marbella city and reaches as far as the Río Verde. It earned its name through golden-glimmering beaches, the ever-golden sun and not to forget the most desirable properties. As one of the Golden Mile’s main characteristics is the down sloping terrain, most properties on the Golden Mile offer astonishing sea views. Furthermore, many of them allow for scenic views of the Sierra Blanca mountain range which towers over the resort to the north. As expected, prices in this area are highly affected by their location. The average price for Golden Mile property ranges from Average price per sqm. in Golden Mile €5,085 0% properties#: 208 last change on: 19 Apr 2019 €5,085 per square meter for houses to Average price per sqm. in Golden Mile €3,877 0% properties#: 380 last change on: 19 Apr 2019 €3,877 per square meter for apartments. However, the prices rise for estates with views of the Mediterranean sea. For investment opportunities, the current average is Average price per sqm. in Golden Mile €5,234 0% properties#: 19 last change on: 19 Apr 2019 €5,234 per square meter. The most renowned agencies on Golden Mile property market are Gilmar, Engel & Völkers and Panorama (Savills), offering the highest number of listings in the area. 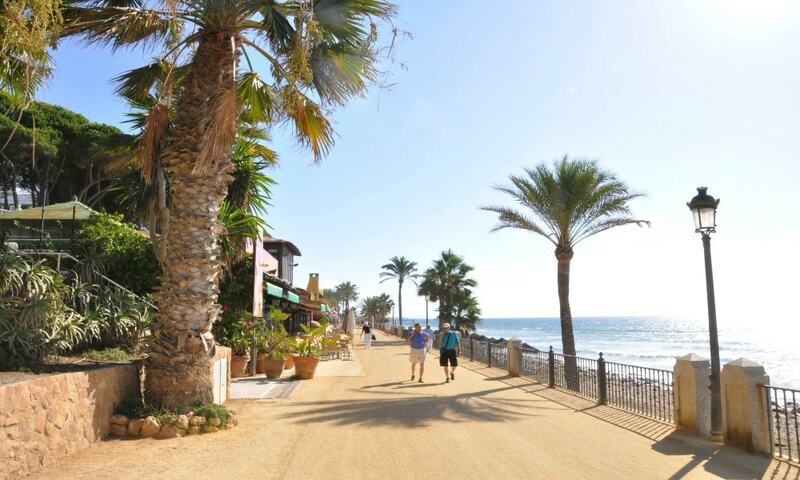 Lying between Puerto Banus and Marbella, this famous stretch is well connected. Both the A-7 highway and the AP-7 motorway are just a few minutes away. Malaga Airport is reachable within a forty-minute drive. In the middle of the four miles long Golden Mile, you can find the Marbella Club and Puente Romano residential complexes, which are known for housing the wealthiest for more than sixty years. Fine dining connoisseurs will not be disappointed as plenty of high-quality restaurants can be found within these hotels. Two of them are run by Michelin star chef Dani García, elevating visitors’ tastebuds into higher spheres. The Golden Mile offers a huge variety of shopping opportunities, satisfying people who love to go on a shopping spree. One can find boutiques such as Gucci, Jimmy Choo and Cartier. The area is the epitome of extravagance and playground for the wealthy. Not only celebrities but also kings do reside there – King Fahd of Saudi Arabia used to have a summer palace on the Golden Mile. He was known for spending millions during his visits and sending his staff on a daily journey to buy new dinner services and cutlery. Marbella’s jet set is made up by the crème de la crème of royals and celebrities, its reputation traces back to the Marbella Club Hotel which was built in 1954 and opened by Prince Alfonso von Hohenlohe. Its prize-winning gardens, consisting of the most beautiful olive trees, acacias, and pine trees attracts people from all over the world. Beside its verdant pride it boasts suites of outstanding quality. Alongside private Villas and the finest hotels, the area is covered with the most luxurious property developments. La Trinidad is a fully-gated complex consisting of nearly 120 apartments, divided into eight blocks. They are surrounded by blooming gardens and a tranquil pine tree forest. It features all the expected facilities as well as security around the clock. Next to the Puente Romano Hotel lies Monte Paraiso, a residential complex featuring nearly 100 apartments. Opulent gardens and a private golf-course embrace this microcosmos for the rich. The golf-course offers holes varying from 71 to 149 meters, making it enjoyable for beginners as well as experienced players. La Carolina is better known for its shopping rows located in the northern part of the Golden Mile, but is one of the oldest residential developments in the area. It consists of 65 villa plots of which nearly all are finished. El Ancón Sierra & Ancón Alto were designed by the English artist and property developer John David Green. One can choose between a villa, townhouse or terrace apartment. Acquiring Golden Mile property is a lucrative investment as it is permanently sought-after, without prices increasing through the roof. Nevertheless, Golden Mile estates are one of the priciest properties on the Costa del Sol, especially the ones situated on the beachside. The Golden Mile is the perfect fit for sophisticated people looking for outstanding architecture in a well established and respected area. It never fails to impress with its divine beaches and astronomically high life quality. The Golden Mile is not only a hub for the wealthiest but a lifestyle which its residents do not want to miss. It offers everything the high net worth individual can think of, from top-notch restaurants, over luxury boutiques to vibrant nightclubs.